On May 8, 1982, during the final qualifying session for the Belgian Grand Prix at Zolder, teammate Didier Pironi had set a time 0.1s faster than Villeneuve for sixth place. Villeneuve return to the track on his final set of qualifying tyres, some say he was attempting to improve his time on his final lap, while others suggest he was specifically aiming to beat Pironi, who Villeneuve felt betrayed him at the previous San Marino Grand Prix. Several drivers stopped and rushed to the scene. John Watson and Derek Warwick pulled Villeneuve, his face blue, from the catch fence. The first doctor arrived within 35 seconds to find that Villeneuve was not breathing, although his pulse continued; he was intubated and ventilated before being transferred to the circuit medical centre and then by helicopter to University St Raphael Hospital where a fatal fracture of the neck was diagnosed. 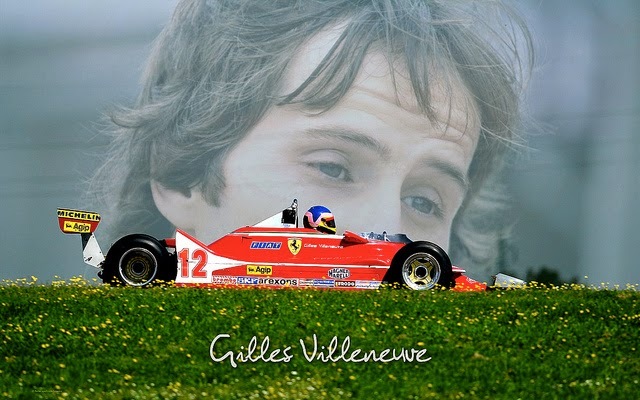 Villeneuve was kept alive on life support while his wife travelled to the hospital and the doctors consulted with specialists worldwide. At 9:12 that evening, racing lost a legend.